Whether you're running a business out of your den or from a penthouse in the sky, you don't have time or money to waste on second-rate tools. These well-designed services and resources are among the best the Web offers for small and midsize businesses. Some include apps for smartphones and downloads for your desktop, but all of them provide the bulk of their features within a Web browser. Watch out, PowerPoint. Here comes SlideRocket. In the land of full-featured productivity suites, the battle royal rages on between Google Apps for Business and Microsoft Office 365. Upstart Zoho, meanwhile, has a loyal fan base of its own. We tend to prefer Google's tools for lean companies with little need for the desktop Office applications included with Office 365. 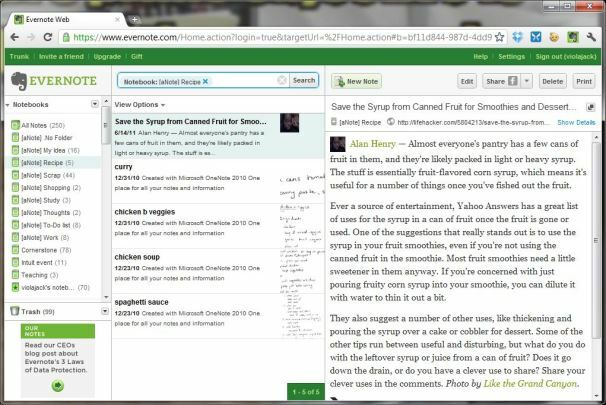 Evernote collects your text, images, links, and even handwriting. VMWare's SlideRocket is a beautiful, cloud-based alternative to PowerPoint (and Google Docs' weak Presentations). All of your content lives on SlideRocket's servers, so team members can see one another's changes in real time. 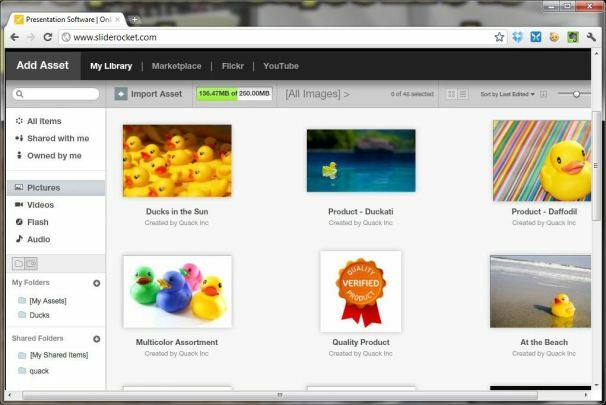 You can easily share and embed slideshows, or conduct a Web meeting to walk people through them. SlideRocket costs $24 per person per month. Need to brainstorm in a more structured way than in a long text list? Want to visualize your thoughts in a flowchart? Mind-mapping tool SpiderScribe is a breeze to get started with, and it's free. 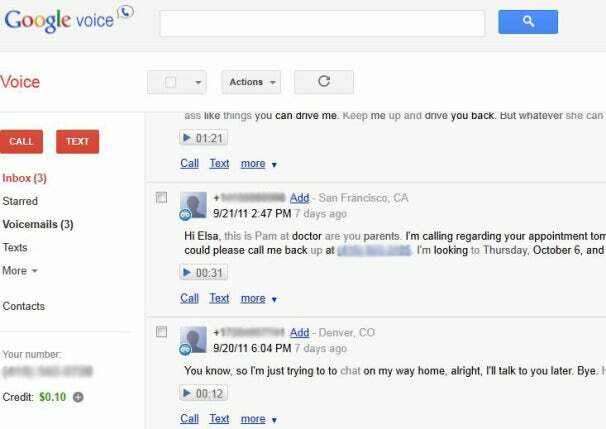 Ditch your other digits for a free Google Voice number. If you conduct business from multiple phones (who doesn't? ), Google Voice is a godsend. It provides one phone number that rules all of your other ones, so you can white-out all the other digits on your business card. You can use this number to forward calls to your other lines, record calls, and even set your existing phone number as the Google Voice master. Its voicemail text transcriptions produce great bloopers sometimes, but usually communicate the gist of a message. You'll find a decent Web dashboard, too, not to mention myriad mobile apps. HipChat enables private, browser-based instant messaging among groups, with companion mobile apps for taking the conversation on the go. The service costs $9 per month for a dozen users, with plans reaching to $99 for 100 members (and beyond to enterprise-level support). Passpack helps you share passwords safely. Do you stash your login secrets in plain text in a Word doc? Shame on you. Passpack stores your passwords safely, and lets you share them with individuals and workgroups. It offers daily backups and AES-256 SSL connection, with your data encrypted and decrypted in the browser. Passpack is free for two users storing 100 passwords, with monthly business plans priced between $1.50 and $40 for keeping between 1000 and 10,000 passwords, all the way up to 1000 users. Proxify comes in handy when you want to surf securely on a public Wi-Fi connection at an airport or café. Just enter the URL, say, of the bank you wish to log in to, and it allows you to choose to strip cookies, scripts, ads, and more once you arrive. If a shady-looking filename or URL gives you the stranger-danger vibe, submit it to VirusTotal, which will tell you whether it's safe to open or whether it should go into your virtual recycling bin. To help your employees better detect online threats, include a link to StaySafeOnline in your company handbook. The Coworking Wiki is a great place to get acquainted with alternative, shared office spaces that you can rent by the month, day, or hour. Loose Cubes and DeskWanted match people seeking a temporary work room--or at least a cubicle--of their own with those offering space. If you're in the market for longer-term digs, WorkSnug rates available office rentals in many major cities. Both LogMeIn and GoToMyPC let you access a faraway PC securely. The LogMeIn Pro version is $70 per computer each year, or $250 per year for at least five computers. GoToMyPC Pro costs $20 per month for up to 50 users. LogMeIn also starts with a free option, while GoToMyPC's basic plan costs $10 per month. Each service offers mobile options as well. Hipmunk shows flight search results in an easy-to-read grid. Frequent flyers swear by TripIt, which collects your jumble of travel plans into elegant itineraries for your iPhone, iPad, Android smartphone, or BlackBerry. When you receive a confirmation email message for a flight, a hotel stay, or a rental car booking, just forward it to TripIt. Hipmunk's unique airfare finder displays flight options in a handy grid. Rather than forcing you to start each search anew, it arranges each search in a tab. It gets points for sorting flights by "agony" factor, too. And as long as you're using the same browser as last time, it saves your latest searches even if you haven't logged in. If you're not loyal to a single airline, check out UsingMiles, which is built to help you manage multiple mileage accounts--as well as loyalty programs for hotels, credit cards, and car rentals. Too bad you can't get your miles to count like they did in 1999. IndieGoGo can help finance your next project. You're sitting on an out-of-this-world recipe for nano-cupcakes, but you lack the capital to whip them up in batches big enough to sell. Luckily, crowdfunding websites let you ask total strangers for cash to get your fledgling venture rolling. Kickstarter is the best-known option, but IndieGoGo has some advantages: Namely, IndieGoGo lets you keep most of the money you've raised, even if you haven't reached your initial goal. With Kickstarter, on the other hand, if you fall even $1 short of your $4000 goal, then no cash for cupcake batter for you. Looking for more-traditional ways of securing small-business credit? MoodysBiz includes a helpful tutorial and risk-assessment tool. RaiseCapital aims to take the middleman out of the venture-capitalist-and-starving-entrepreneur relationship; post your business pitch there in hopes of attracting the deep pockets that be.